Spring Trade Fairs 2018 - a complete success. High visitor attendance, very interested and enthusiastic visitors, customers and new customers. "Only when the “compulsory programme” has been successfully completed can you put your own “free-style” ideas into practice…. and in both disciplines Gunold was very convincing all along the line. 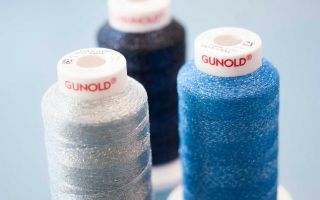 At the first textile fairs of the year, whether in Munich, Paris, Stuttgart and Lyon, even in Karachi, Pakistan, visitors everywhere were enthusiastic about the new and innovative product range 2018 of the Gunold GmbH. 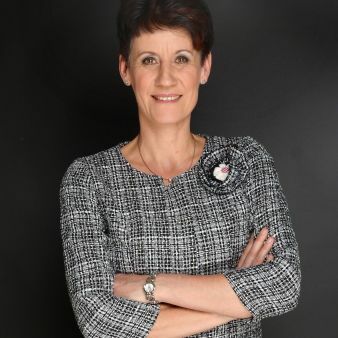 Marketing Director Stephan Gunold: "With our high-quality threads and accessories as well as new products for embroidery, decorative seams and textile decoration, we are definitely in step with the times. The entire Gunold team is almost enthusiastic, that's how well our first trade fair appearances this year went. High visitor attendance, very interested and enthusiastic visitors, customers and new customers at our booths - we are very optimistic about the rest of the year. Especially the two new products Poly Flash and Bobby Fil Magnetic attracted the attention of the trade visitors. With a total of 23 colours, the innovative metallic shiny polyester thread Poly Flash brings a completely new look to embroidery. Poly Flash combines the properties and look of polyester, viscose and metal in a single thread: It is as strong and as resistant to chlorine as polyester (Poly), but has the silky soft shine of viscose (Sulky) and the shimmering sheen of metallic thread (Mety). The look of Poly Flash is metallically shiny, looks like hammered metal, rather frosted than high-gloss, used, broken in a vintage style. This specialty thread is very skin-friendly and easy to work with. No less innovative, although invisible in the result desired, is the new bobbin thread Bobby Fil Magnetic. The latest BOBBY type in the Gunold range of bobbins convinces due to the high efficiency and safety at the embroidery machine. 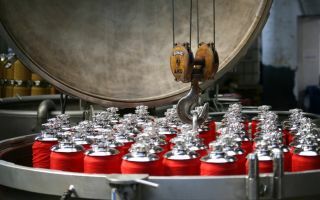 The well-known thin, yet tear-resistant bobbin thread offers decisive advantages as a pre-wound version equipped with magnetic sides: all bobbins have exactly the same running length, all are wound absolutely evenly. The magnetic side discs on each bobbin also ensure a perfect hold in the embroidery machine. If the embroidery machine stops, e.g. due to a color change, the bobbin thread is slowed down by pressing the magnetic side disc against the inner wall of the bobbin case. The bobbin does not continue to rotate, no thread is unwound which could lead to a ball of thread under the throat plate in the case of re-stitching. This guarantees easy handling, extremely low downtimes when setting up the machines, supports a uniform embroidery result and thus ensures an overall improved embroidery quality. 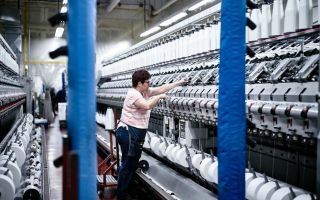 The mood of social and cultural upheaval and change is also a constant factor in the textile industry! Companies and designers are full of zest for action and are looking for inspiration and innovations to provide answers. At Gunold they will find what they are looking for. "Buyers, designers and product developers not only value our high-quality product range, but above all our creative inspirations and the technical advice needed to implement them," says Stephan Gunold. With fashion trend information and sample folders as well as the creative works of students or the embroidered artwork "Woman with Parasol by Monet" from Atelier Ercigoj from Slovenia, Gunold particularly impressed the trade visitors at the trade fairs Munich Fabric Start, Munich and Première Vision, Paris. Visitors to C! Print in Lyon, TecStyle Visions in Stuttgart and GTex Karachi in Pakistan were very interested in tips and tricks for the practical application of Gunold products. 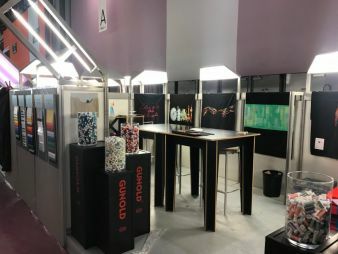 “Our open booth design and the many samples and information that visitors are allowed to make use of are very popular at these trade fairs, which are very popular with embroiderers and textile printers. Our trade fair booths were virtually stormed there," reports Stephan Gunold. In Stuttgart, Gunold even received the award 'Exhibitors From The Very Beginning' from the exhibition management. "We were very happy about that, too." The opening trade fairs in 2018 were a success for Gunold. However, trade fairs are only the beginning. The intensive communication with the customers and their manufacturers afterwards, shows how important it is today to take personal and individual care of the needs of the customers. The social media help to spread ideas and gain awareness. But these days business is again increasingly done through personal contact.